There were two of these connected on one chain. 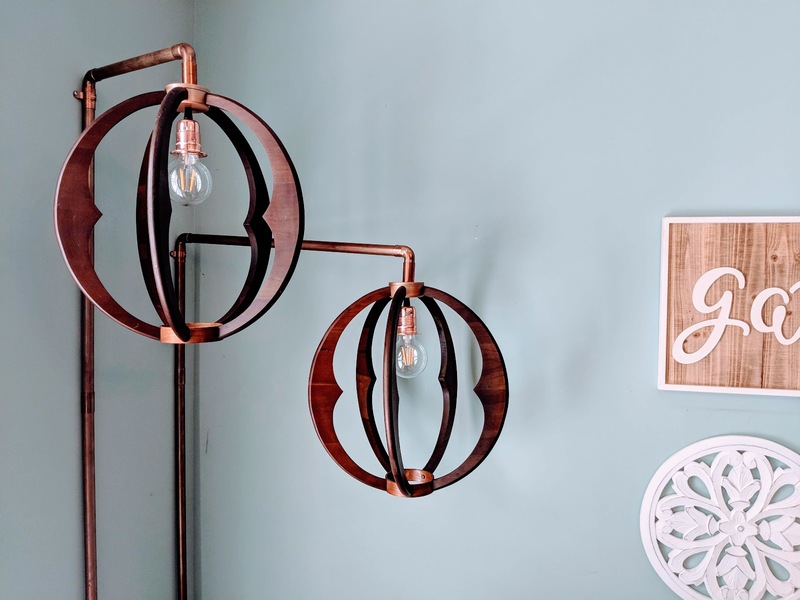 I loved the structure, the mid-century modern vibe, and the round wood element, but that chain and globe had to go. Although I had the creative vision here, this was a group project. I had lots of help turning these fixtures around. 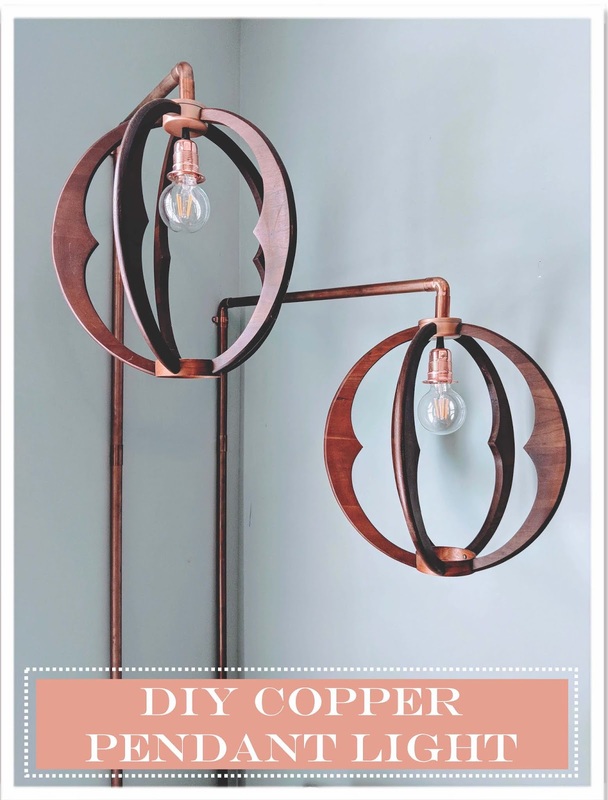 I started by ordering a new light cord with copper details. This one plugs into the wall. 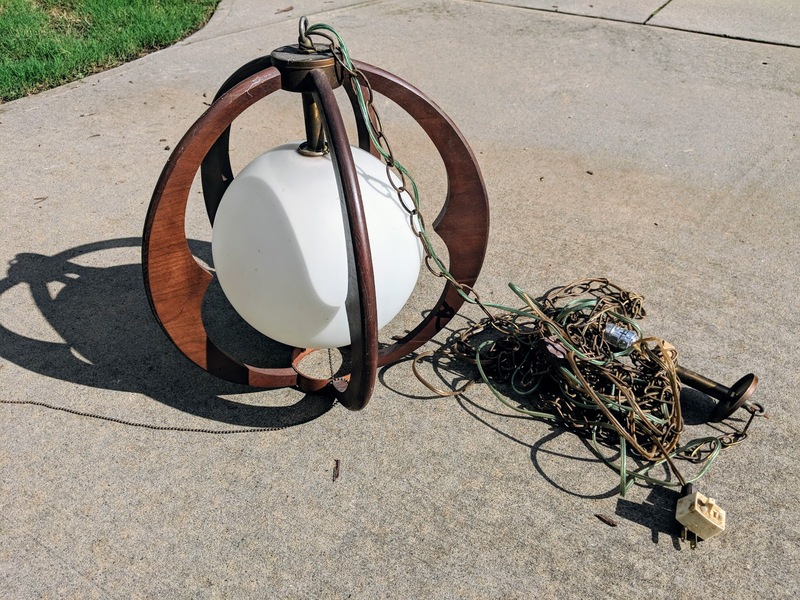 My brother-in-law and uncle were the electrical geniuses who helped me take the light apart to insert the pendant. I definitely recommend a professional, if you are electrically clueless like me -- nobody wants a house fire. 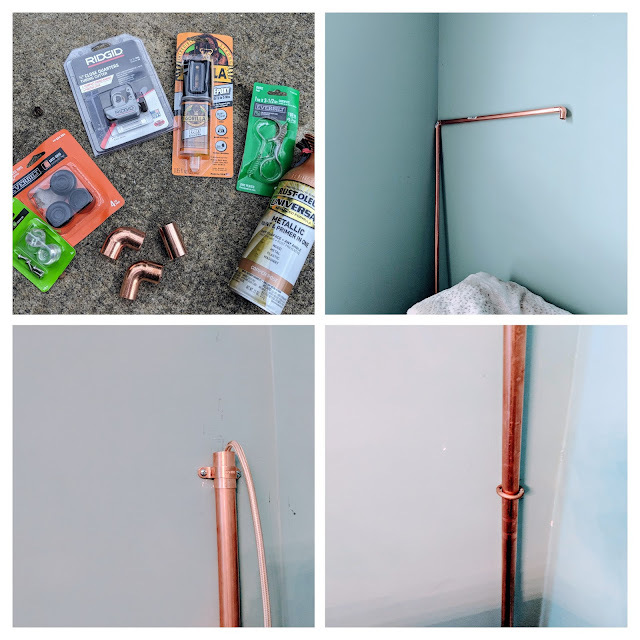 After many trips to the hardware store, I purchased copper tubing, connectors, cutter, paint, eye hooks, glue, and rubber leg tips which protected the hardwood floors. Then, my dad, mom and I started putting it together, and adjusting as we went. 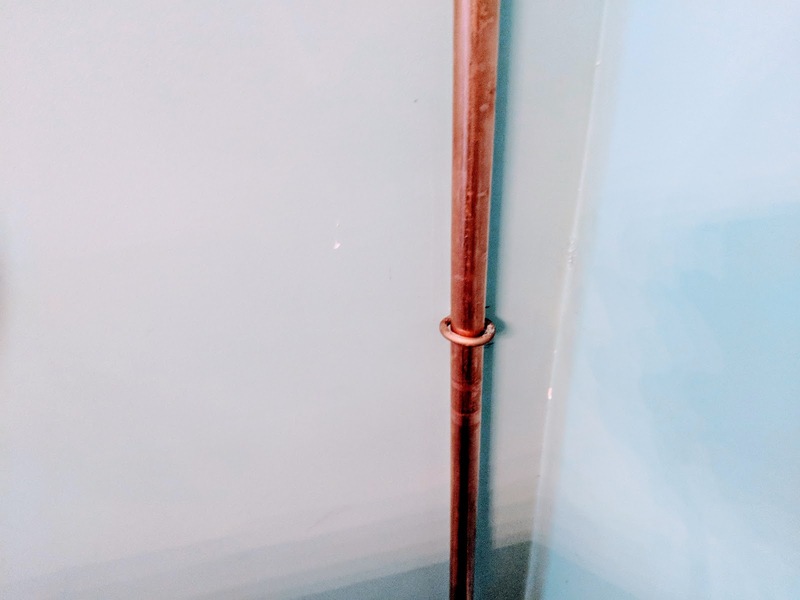 We installed the copper pipe into the wall, and then fed the cord through the pipes to connect it to the light fixture. Clearly, this is not a full tutorial, so if you have specific questions, please feel free to reach out in the comments or by email. I would be happy to help you in any way that I can. I am absolutely thrilled with how it turned out, and so thankful for my family who helped me all along the way. 1. Teamwork makes the dream work. 2. 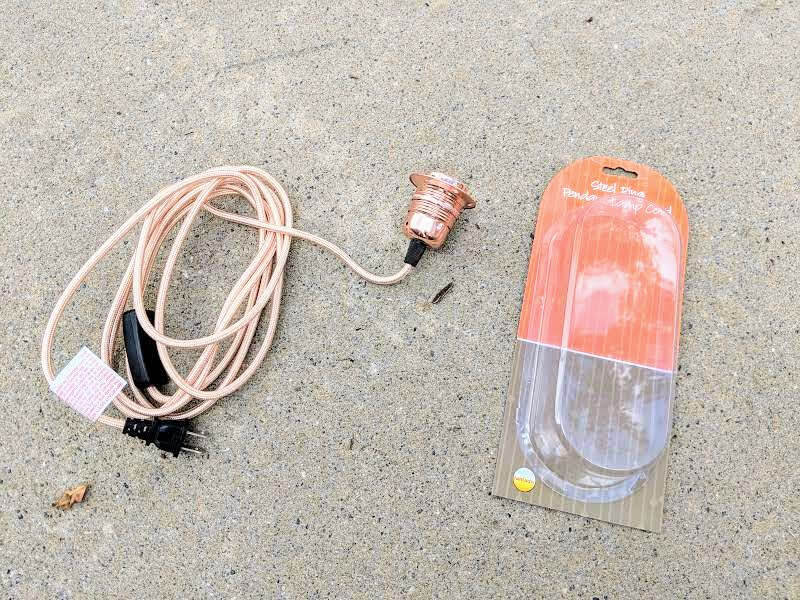 When something doesn't work out quite like you planned, pivot and come up with a new plan.